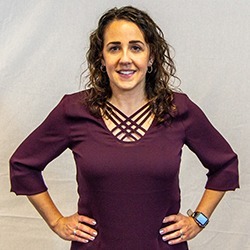 Mannix Marketing Hires Dawn Neville as Digital Marketing Strategist - Mannix Marketing, Inc.
Mannix Marketing welcomes Dawn Neville as digital marketing strategist and project manager on its SEO and web development team, effective immediately. Neville, a marketing and communications veteran, will bring both a seasoned and diverse skill set to the Mannix SEO team. With nearly 20 years in the marketing business, Neville now brings her drive and passion to Mannix, where her past achievements in marketing make her a great fit for the team. She has a diverse background working in marketing and communications, including stints at a top engineering university, a multibillion-dollar company, a non-profit organization and a digital marketing agency. She is passionate about educating and improving her clients’ overall success, and hard work, dedication, organization and high-expectations have characterized her career to date. When not at work, Neville loves spending time with her family. She’s also fond of strolling through downtown Saratoga, stopping for gelato and kettle corn. And although she’s not an avid better, she adores the Saratoga Race Course, and spends most of her money on the food there, instead. Mannix Marketing, Inc. started as a one-woman company in 1996 with one goal in mind: to get its clients found on the web. Since then, the company has grown into a thriving, award-winning digital marketing agency with more than 30 experienced designers, developers and marketing professionals, all dedicated to helping businesses succeed online. From responsive website designs, to SEO, to inbound marketing techniques, to regional tourism guides, to business consulting, Mannix Marketing helps its clients reach their marketing goals, whether they’re local or national, niche or broad. Contact us today to learn how we can help your business succeed!